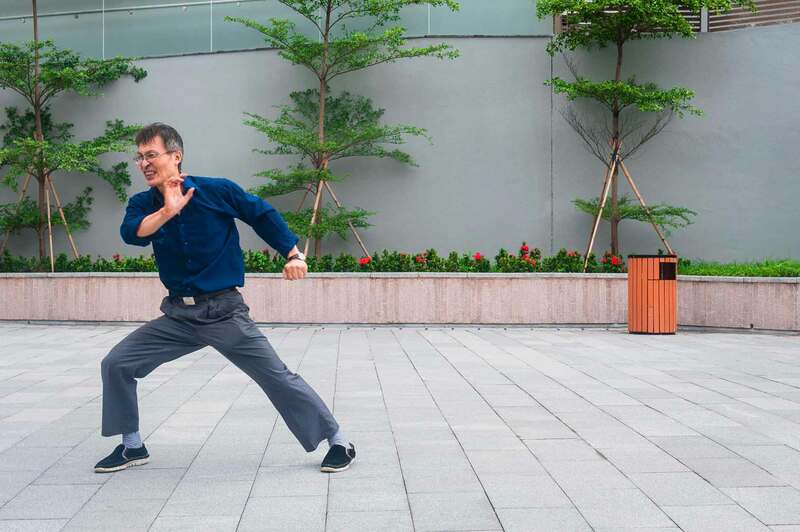 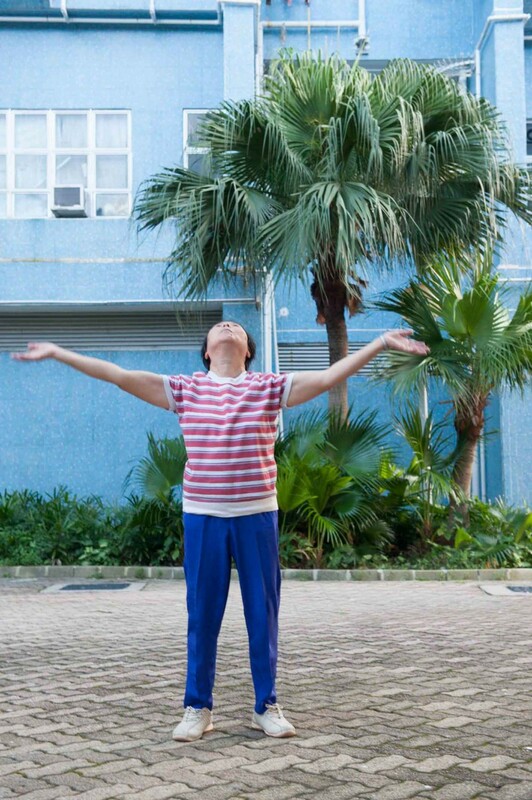 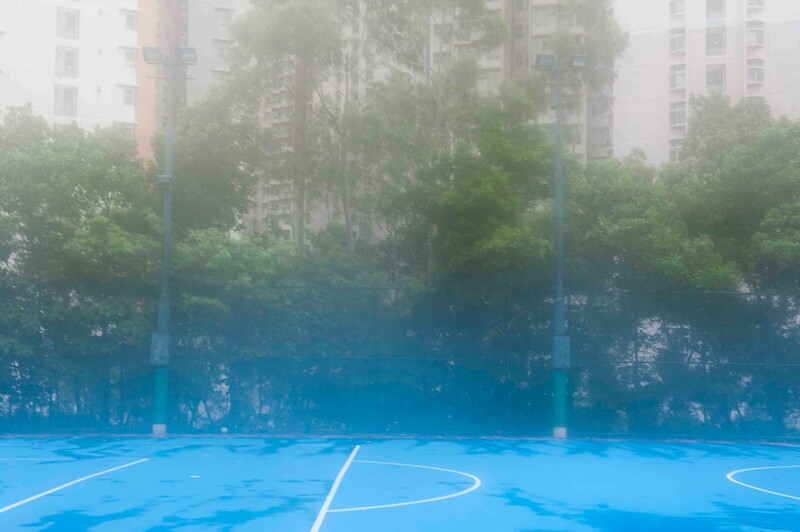 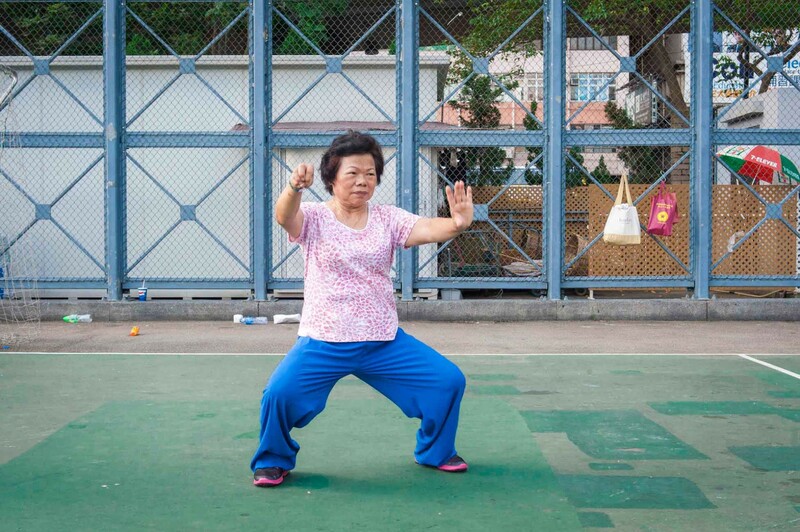 White Crane Spread Wings is a studied observation of Tai Chi enthusiasts in Hong Kong. 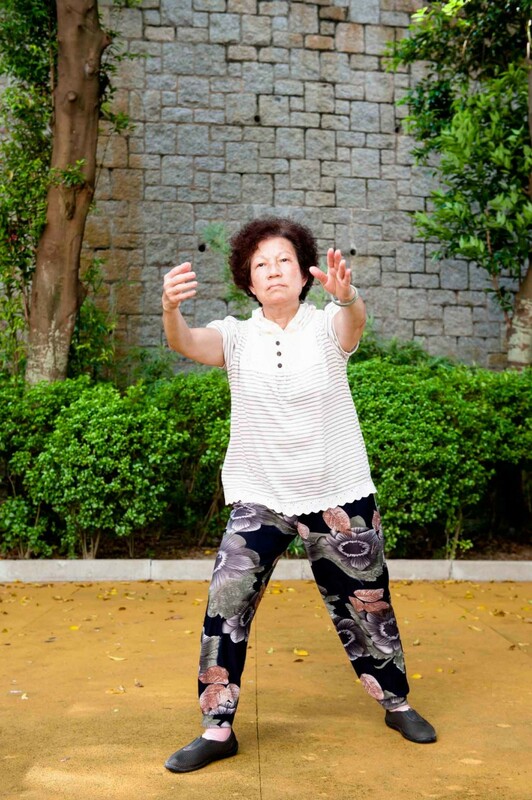 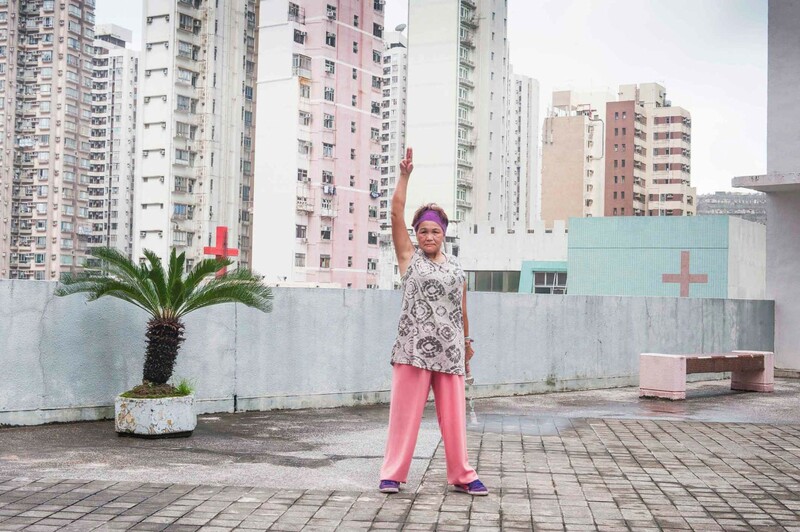 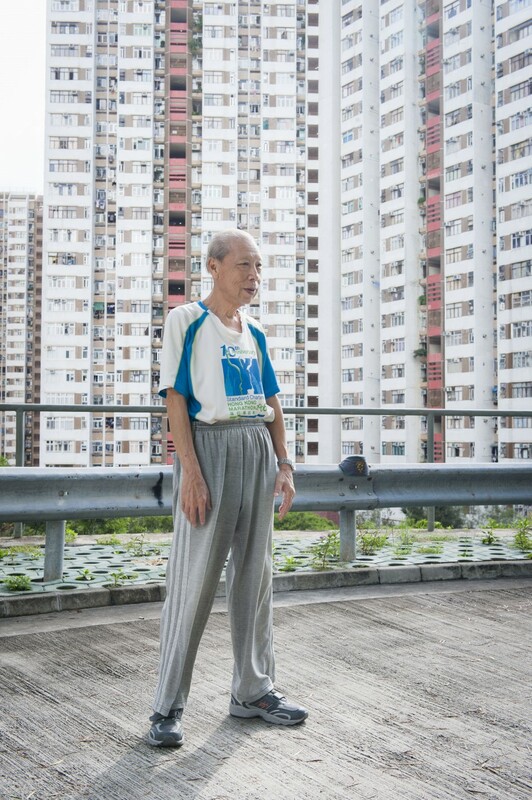 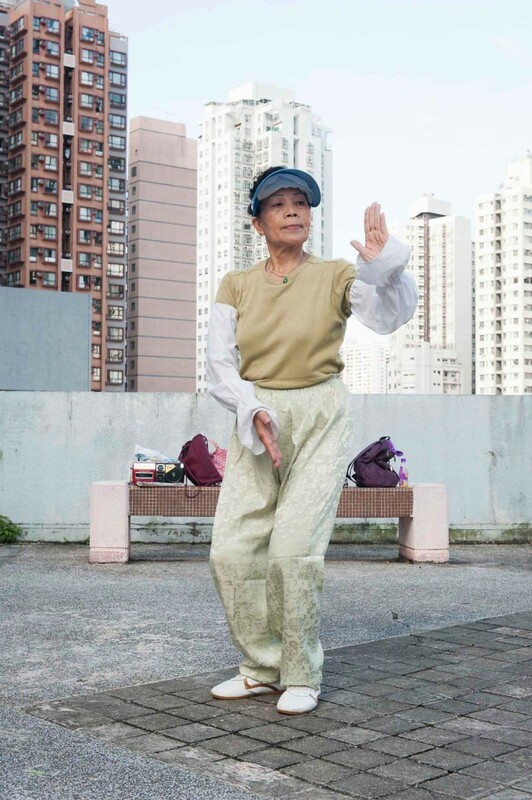 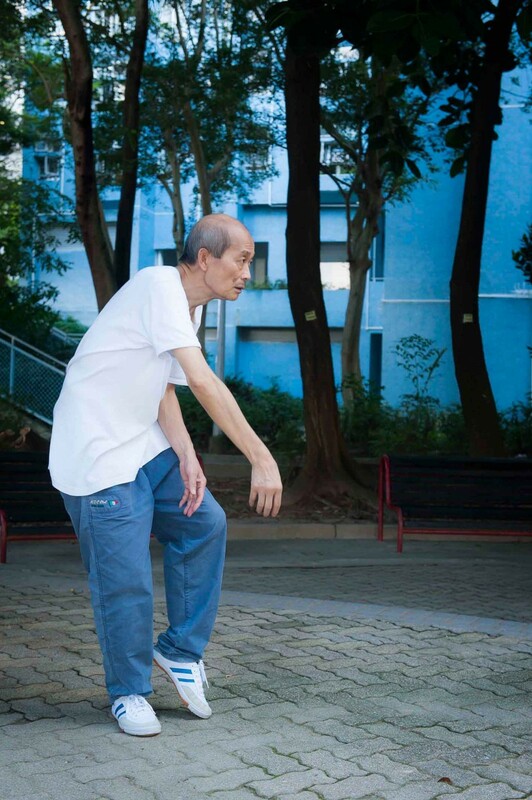 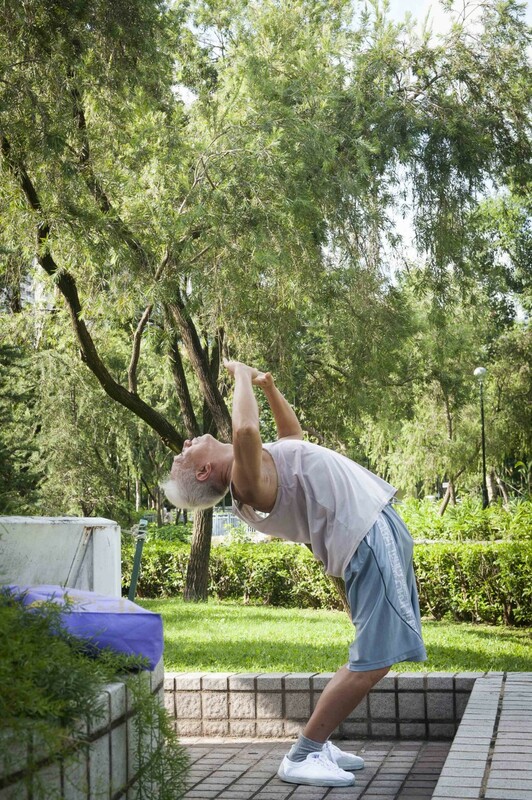 Each morning large numbers of the elderly community emerge from the city’s residential tower blocks to practice a rehearsed series of Tai Chi movements. 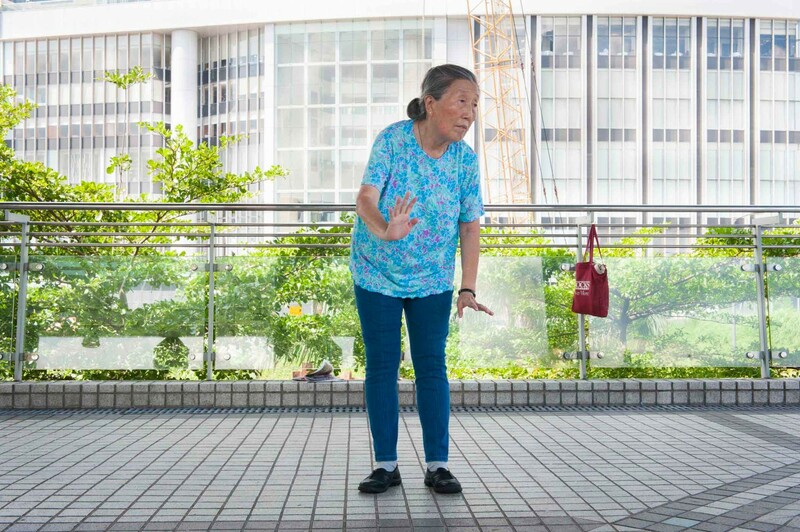 One finds these elderly enthusiasts throughout the city; along pedestrian crossovers, tiled promenades, beneath the highways and in officially designated area’s such as the ‘Pleasure Ground’ and ‘Adult Exercising Corner’. 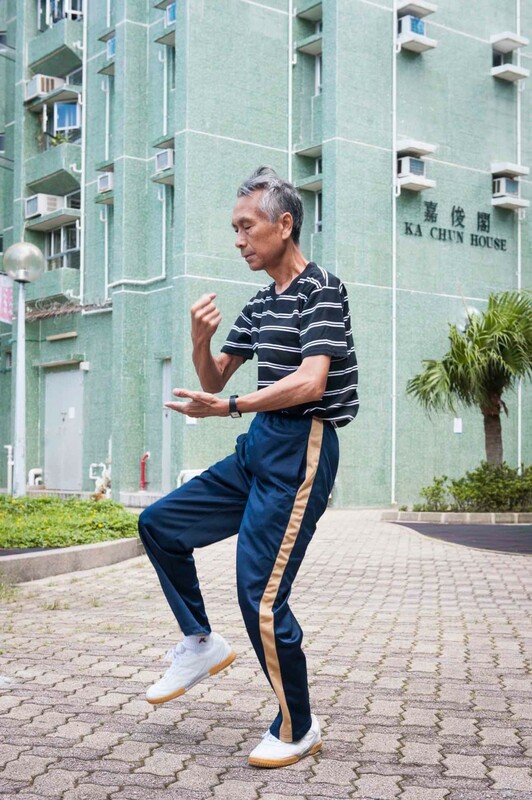 The interest is not in photographing the complexities and techniques of these movements but rather the individuals who participate in this unique routine. 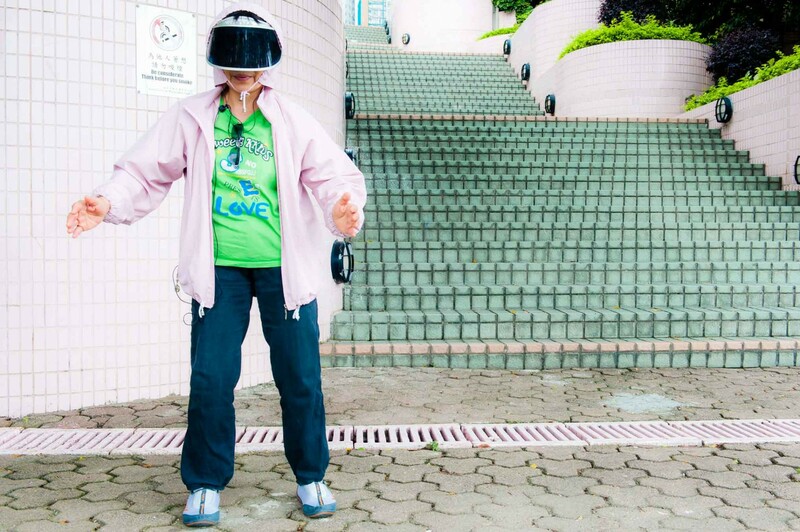 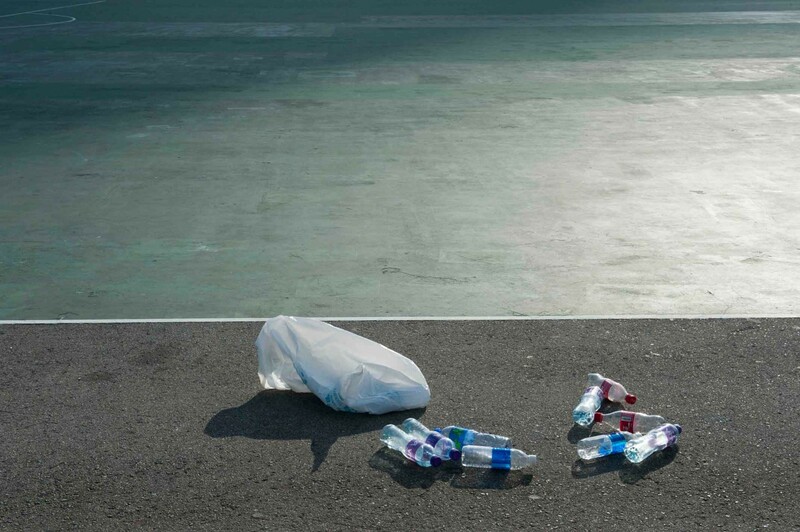 The individual appears entranced and otherworldly, removed from their surrounds and absorbed in a performance. 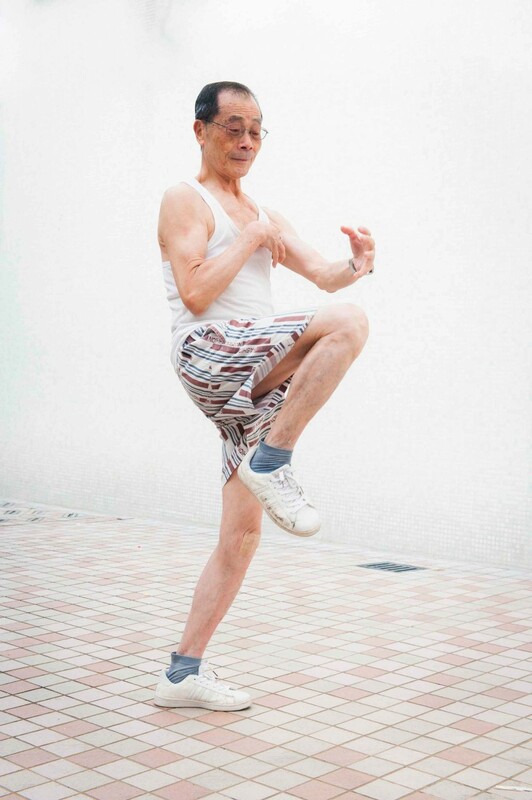 As movement is stilled within the frame, the nature of this performance is amplified and as such human form and expression are central to this work.